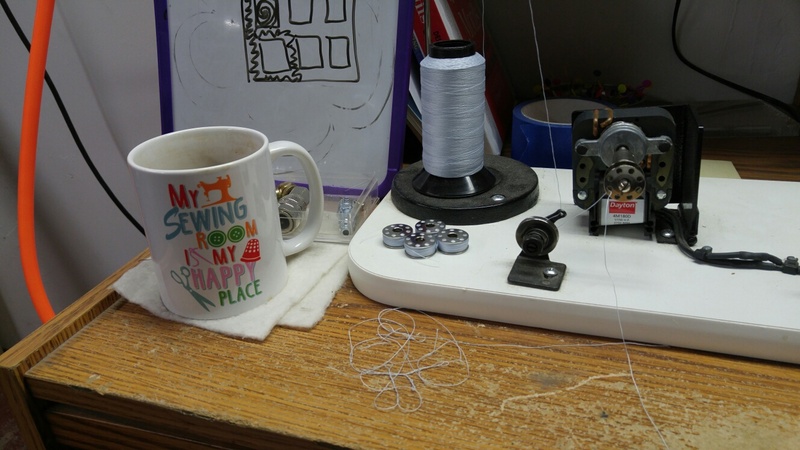 Just like my mug says, my sewing room is my happy place! I was downstairs working on Gemma over the weekend. Here I was just winding bobbins. This was a thread that I had previously deemed not usable because it kept breaking. After gaining some experience with the machine, the thread now works like a dream. 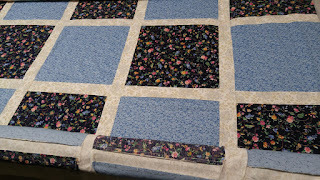 I used it for both the quilts I worked on this weekend. 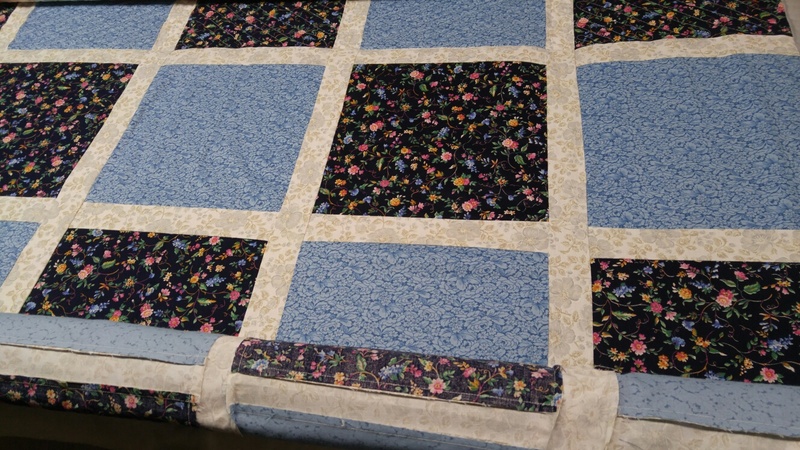 This is the last nursing home quilt for the year, on the frame. Just doing simple quilting on it.